Our annual fundraiser was held on Thursday, October 13, 2016 from 5:30-8:30pm at the RiverCenter in Davenport. local vendors, brewpubs & bars. North of 40 provided the musical entertainment. There was a large silent auction, beer pull, grub grab, pulled pork game and much more! Proceeds from the event ​benefit the programs and services at Friendly House. For more information (and fun stuff!) 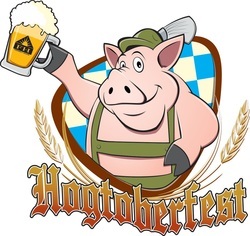 head over to our Hogtoberfest Facebook page or our Twitter page.